There’s no need to go abroad for a Christmas market this year – there’s a fabulous choice right here at home in Sligo. The compact nature of the county allows visitors to visit several markets over a weekend and really soak up the atmosphere. Music spills from the rafters, fairy lights twinkle overhead and the scents of Christmas waft through the air. Delicious foodie treats – sea veg, chocolately nibbles, breads, cheeses and dips, craft beer, sushi – compete for attention with gorgeously handcrafted gifts. You’ll find Sligo Food Trail members at all the markets and some, like Murson’s Farm, appearing at several. Rathcormac Artisan Food & Craft Market is in the charming location of Branley’s Yard between Sligo Town and Drumcliffe. It’s on every Saturday in December and the special Christmas night market with carol singers, mulled wine and a visit by Santa Claus too is on Thursday, 22nd December. With delicious hampers from Murson Farm and you can even order your free-range turkey and home-cured ham from Sheerin Meetin’ Place while enjoy hot chocolate at Vintage Lane Café. Beltra Country Market’s Christmas Fair on Saturday 10th December with children’s workshops, Christmas baking, treats, gifts and crafts are all on offer as well as Christmas carols from several choirs and even ukeleles! The weekly Sligo Farmer’s Market situated in IT Sligo on Saturday mornings offers a wide range of organic and artisan foods from Bluebell Organic Farm, Good and Green Organic’s, including Ballisoadare free range eggs for all the Christmas baking and delicious preserves from Bramble Lodge Foods. Wednesday 7th is the big night in Strandhill when Shell’s Seaside Café hosts the enticing Shell’s Wonderland and Winter Wreath Workshop. Seaside café Pudding Row in Easkey is running Festive Fayres on Thursday 8th and 15th December and promise warm bowls of seasonal stew, mince pies and all manner of Christmassy delights. 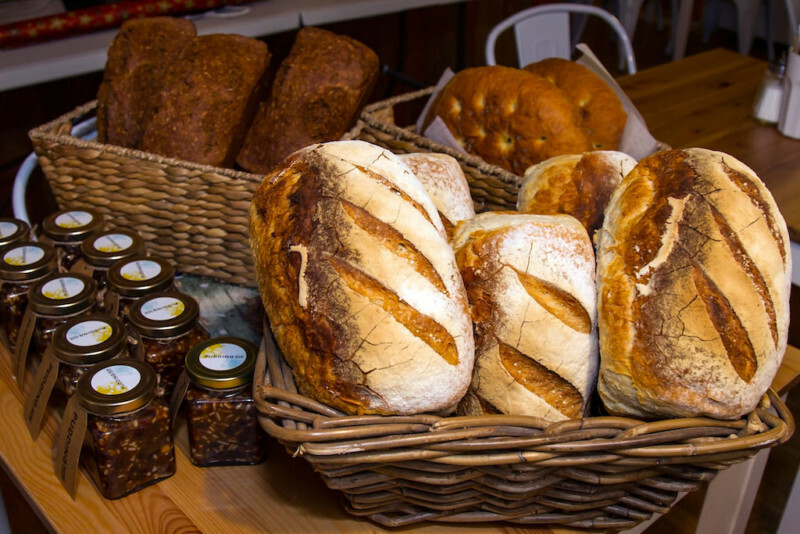 Enjoy an evening market with the White Hag brewery craft beer, a wide selection of breads, preserves and cakes from Murson Farm including ordering your Christmas Hampers and beautifully handmade sushi from Sushi Sisters at Strandhill Markets. Something for all tastes this Christmas at our Sligo markets. Photography by: Denise K Images at Pudding Row.